Lowell Smokes, one of the most well-known cannabis brands in California, began as a small farm in 1909, when William “Bull” Lowell started growing “Indian Hemp.” While this was before national prohibition went into effect, Lowell’s farm was still controversial. Henry J. Finger, a member on the California Board of Pharmacy, thought Lowell’s weed was “being smoked by the wrong kinds of people,” and aimed to outlaw cannabis with the 1913 Poison Act. After refusing to stop growing his Indian Hemp, Lowell was thrown in jail. Nonetheless, Lowell farms persevered. Today, the small family farm is located in Santa Barbara, where cannabis flowers are grown according to organic methods. Only natural pesticides, organic fertilizers, and other safe, nontoxic materials are used during the process of growing and drying the weed. “They would take all this time trying to ensure the purity and quality of the product, and at the last minute it would sell in bags at dispensaries or sit in plastic flip-top containers that leak BPAs and nasty chemicals into the flowers before you ingest them,” says Sean, Lowell Smokes creative partner, describing what happened when Lowell first entered the state legal market (Sean asked that his name be withheld for fear of facing consequences from the federal government). “So they were looking for a way to preserve the purity of the flower and make people aware of the purity of the flower,” he says. That became the genesis of the Lowell pack, the farm’s signature package of pre-rolled joints that circumvent having to store the cannabis in containers made from plastic and other toxic materials. 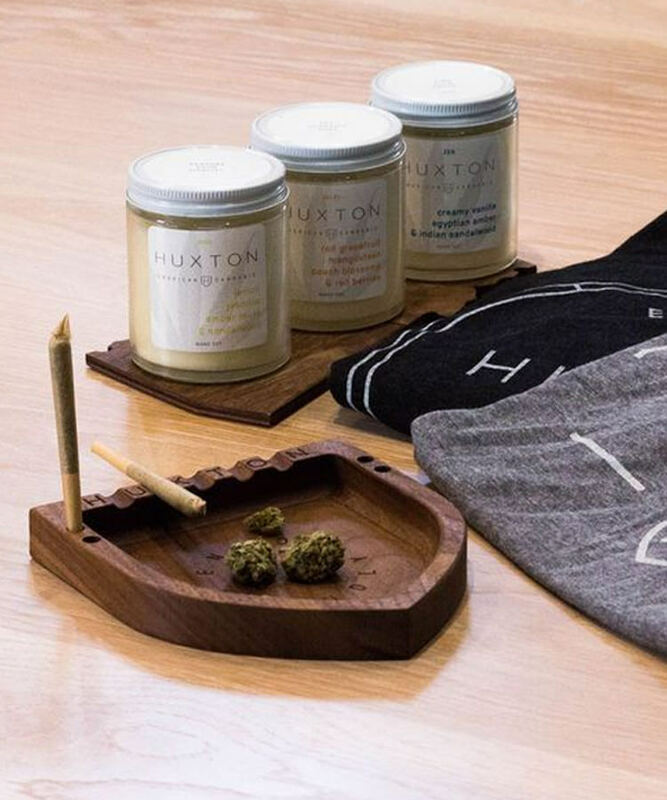 The joints are rolled with organic papers and hemp paper products, and wrapped in French wax parchment paper, Sean says. The pre-rolls were a huge success, but the small-scale Lowell farm couldn’t grow enough to meet demand. “The compromises you have to make to grow something on an industrial scale are compromises the farmers didn’t want to live with, they wanted to hand raise the plants,” he says. So instead of turning the small family farm into a big industrial farm, Lowell partnered with other family owned farms up and down the California coast. “It’s a community of small artisan organic farmers that grow according to our standards,” says Sean. In order to sell their bud under the Lowell umbrella, including the pre-roll joints, the farmers must take four pledges: 1) use only organic fertilizer, 2) use only natural pesticides, 3) pay the farmers a living wage, and 4) use natural materials from seed to sale to ensure the flowers aren’t exposed to plastics, BPAs, or other toxins. All the farms in the Lowell community produce outdoor, sungrown cannabis. “Lowell is a flower-only brand,” says Sean, so they only sell pre-roll joints and bud, stored in glass jars. And only in the last six months since they began selling in dispensaries this past January, Lowell has garnered a lot of consumer attention.